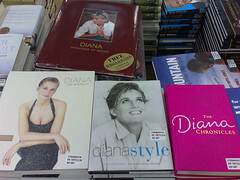 I am sick of hearing about Diana, Princess of Wales. | Let me be frank! ← Pedantics – or, Am I Getting The Message Across? I too am really sick and tired of seeing Diana on the news. She died more than 12 yrs ago. Just go away!